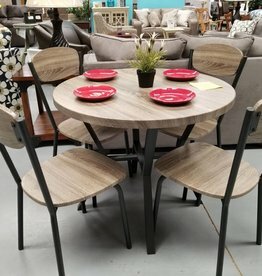 Home / Tags / 36"
36" Round Table with 4 Chairs. Industrial hardware look. Colors of grays and browns.